Have you ever noticed that there doesn’t seem to be one person in your facilities who is happy with their building’s temperature? If so, you’re not alone! In fact, 94% of Facilities Managers (FMs) receive complaints about the building being “too cold” and 91% receive complaints about the building being “too hot”. Unfortunately, there isn’t much you can do about the fact that everyone has a different preferred temperature. But what you can do is monitor your building’s HVAC units (and environment) and make adjustments as needed to keep your occupants as comfortable as possible. Keep reading to find out how! I cannot stress the importance of cleaning and inspecting your HVAC unit enough. Not only will you be able to find issues before they affect the unit’s performance, but you will also increase the unit’s lifespan. Replace the air filters regularly, preferably once a month. Dust and dirt in the air filter prevents air from flowing properly, which keeps warm air (and cool air in the summer) from reaching all occupants. Inspect the ductwork. You should be looking for signs of wear like peeling duct tape, dents in the metal, and ripped sections of flex ducts as well as dirt streaks that indicate escaping air. Inspect for leaks in the air-handling unit (AHU). If air is able to escape from the AHU, it won’t be able to properly cool or heat your building. Inspect the furnace flame. The flame should be blue, not yellow or orange. These colors may be an indication of combustion problems. Keep your air pressure positive. Test your building’s pressure by opening exterior doors. Are they hard to open? If so, then the building is negatively pressurized, which means it will pull in cold air from anywhere it can. You can create positive pressures in your buildings by installing a fresh air duct or installing a Heat Recovery Ventilator (HRV). If you have a boiler, check out my other blog post on how to properly inspect it and increase efficiency. How FMX can help: In FMX, you can assign all of these HVAC inspection and cleaning tasks to the appropriate members of your team. You can add step-by-step instruction sets, or checklists, to the preventive maintenance tasks so that assignees have to check off each step before they can close out the task. You can even set these tasks to repeat on a bi-annually, quarterly, or monthly basis to make sure they never slip through the cracks. If you ever feel like one part of your building is colder than another, it probably is. There are various reasons for inconsistent temperatures throughout the building, so let’s go over a couple and how to tackle them. One of the most common reasons for inconsistent temperatures is inaccurate thermostat readings. To prevent this from happening, indoor thermostats should be out of direct sunlight and placed on inside walls of the building. Exterior walls tend to be the coldest or warmest spots in the office (depending on the outdoor temperature), and can result in inaccurate readings. In addition to placing them on an inside wall, the thermostat should be placed in an area that best represents the temperature in the majority of the building. This way, the heat isn’t kicking on when an unused part of your facility is colder than the rest. Buildings are also susceptible to thermal bridging, which is when heat escapes due to a break in the building. These breaks may be the corners between the wall and floor or wall and roof, any holes in the insulation for pipes, etc. This can cause areas of your building to be colder or warmer than others. If this is the case for your organization, and the complaints are severe enough to warrant a solution, you can reduce the thermal bridging by implementing an insulated foundation system. In addition to the tips outlined above, you should discuss temperature concerns with your occupants. A common issue with facility temperature regulation is that 56% of facilities’ HVAC systems are centrally located, which means that occupants don’t have control over the facility’s temperature. In order to keep your occupants comfortable, there should be a way for them to address temperature concerns with the maintenance staff. A good way to address these complaints is with a CMMS. It makes it easy for occupants to alert the maintenance team about an issue with the temperature so they feel like their complaints aren’t just going into a black hole. A CMMS can be configured to make sure that the occupant submits details (thermostat reading, etc.) that will help the maintenance team troubleshoot the issue. It also enables the maintenance team to keep track of the temperature complaints and identify trends (maybe certain areas of your facilities have more HVAC issues than others or certain HVAC equipment is more problematic than others) while keeping your occupants in the loop with two-way communication. When it comes to temperature complaints, there is no easy way to tackle them. But when productivity is on the line, it’s a must! Hopefully you’ve identified a few new ways to keep occupants comfortable in your facilities and keep those pesky temperature complaints to a minimum. 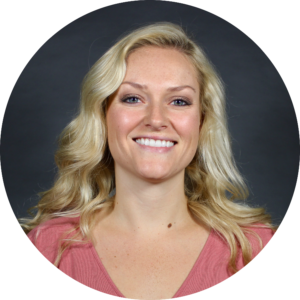 Alayna is the Content Marketing Specialist at Facilities Management eXpress. When she’s not drafting up content for the blog or social media, she is most likely traveling the world or trying new foods in Columbus!